A home rule dispute has put the green borough taxi plan in jeopardy. A few months after issuing a temporary restraining order against the Taxi & Limousine Commission’s street hail proposal, a New York State Judge put a stop to the program entirely on Friday afternoon. Justice Arthur F. Engoron declared the law granting the Mayor the right to award 1800 street hail licenses and 2000 medallions invalid on home rule grounds, and while the monied medallion industry is claiming victory, city officials plan to appeal. For now, though, the ruling puts a serious dent into a plan to improve taxi access outside of Manhattan and the city budget as well. The decision — a bit of a rambling 34-page opus on the history of taxis in New York — essentially boils the whole thing down to a home rule issue. Taxis are an inherently local concern, and despite the push and pull of the taxi medallion owners, the Mayor cannot bypass the City Council to get what he wants. (Read the subtleties right here.) So while the overwhelmingly vast majority of taxi rides are airport-based or start in Manhattan south of 96th St., the rest of the city is left with illegal street hails and haggling over the price. David Yassky, the Taxi and Limousine Commission, said the city will appeal the decision, but for now, the money from medallion sales and, more importantly, the taxis won’t materialize. Not everyone though was upset with the ruling. The Greater New York Taxi Association, an industry group of very wealthy and powerful medallion owners, hilarious called the ruling “a win for democracy, due process of law and the right of New Yorkers to decide how their own city works.” It’s a win for an organization that has successfully used its influence in City Hall to stymie any effort to cut into their government-granted monopoly. Whether it is otherwise a win for proponents remains to be seen. So negotiations will continue, and this effort may stretch beyond the Bloomberg mayoralty. Scott Stringer has voiced his support for the project, and other 2013 candidates may yet chime in. Hopefully, an agreement can be reached because this is one transportation initiative that should see the light of day. The green borough taxis are currently held up in litigation as the City Council and Mayor Bloomberg square off over homerule. If we assume that increasing personal mobility without needing a car as well as the lessening of congestion should be a goal of urban policy, then taxicabs are an important part of a transit network. For those rides when buses and subways just won’t cut it, when someone has a too much stuff to tote on the train or finds themselves off the bus network, a taxi can help bridge that gap. Lately, much to the chagrin of wealthy yellow cab medallion owners, Mayor Michael Bloomberg has been trying to expand the taxi network. The yellow cab industry recognizes that 97 percent of trips originate at the city’s airports or in Manhattan south of 96th St., but the majority of New Yorkers leave beyond those boundaries. They too need the ability to hail cars on the corner instead of calling ahead and hoping for a free car. By authorizing street hails from livery cabs outside of Manhattan, Bloomberg had hoped to extend the reach of taxis. The medallion industry though has fought back. These are folks who pay top dollar for their cabs and have seen their investments grow by leaps and bounds. Taxi drivers have little to fear from the livery cab industry, but the medallion owners — a politically powerful group with deep pockets — believe a new class of cabs would threaten their money. What, they say, will keep these new apple green cabs from picking up passengers where they shouldn’t? Supreme Court Justice Arthur Engoron sided with yellow-taxi industry groups that argued the city and the state Legislature violated the so-called home rule provision of the state constitution. That clause says the state may pass a law directly affecting the affairs of a single municipality only if that city’s legislative body has voted to allow it. After Mr. Bloomberg failed to convince the City Council to back a plan to let livery cabs accept street hails in northern Manhattan and the other boroughs—and to issue 2,000 new medallions for the existing yellow-taxi fleet—the mayor turned to the Legislature and Gov. Andrew Cuomo to pass the bill. 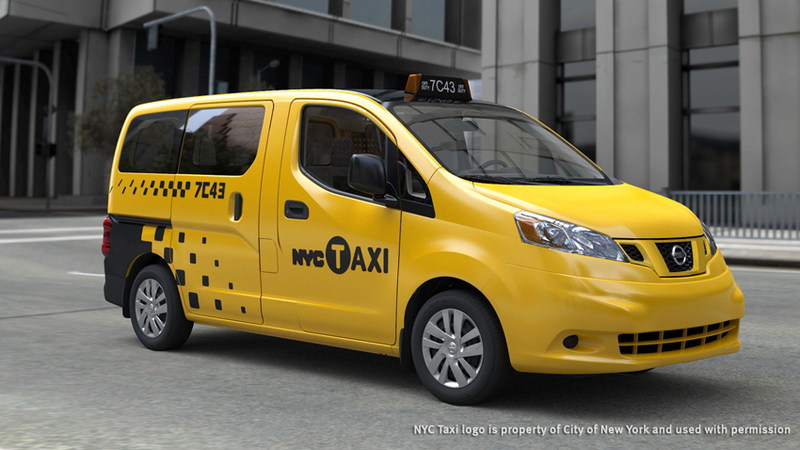 The restraining order brings a sudden halt to the roll-out of new “borough taxis.” The Taxi and Limousine Commission had initially planned to begin accepting applications for the new licenses as soon as Monday, one reason for the haste of the judge’s order. The ruling also halts the planned auction of the 2,000 new yellow-taxi medallions, since the legislative deal required that they couldn’t be sold until the new borough taxis were in operation. The judge didn’t rule on a preliminary injunction sought by the taxi plan’s opponents, saying he would rule on the substance of that motion “with all deliberate speed.” Michael Cardozo, the city’s corporation counsel, said the city would explore an appeal of the decision, and noted that the city budget depends on $1 billion in anticipated revenue from the sale of new medallions. What has happened here is likely a legal right. I believe Engoron has properly interpreted New York’s home rule requirements. Bloomberg’s leap over the city always seemed more than a little suspect, and Engoron believes precedence supports him. On the other hand, though, the policy is wrong. The City Council is in the pocket of the medallion owners, and New Yorkers need this street hail plan. It would change the way we get around the city. So now, with a restraining order in place, we wait for Engoron to rule on the temporary injunction. The city cannot realize this $1 billion revenue potential quite yet, and those of us who live in areas without an ample supply of yellow cabs must make do with a wink and a nod. We need the green apple street hail cabs, but no one in the city government will rise to the occasion.